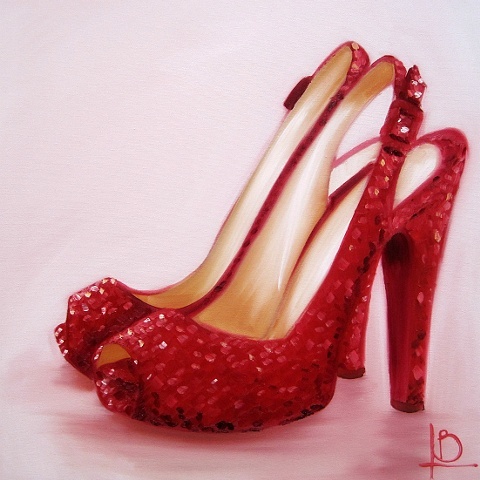 These sparkly red shoes have a vintage style, and are painted in oil on canvas. They're a bright vibrant red, with deep crimsons and pale yellows and whites bringing sparkle depth to the painting. The background is a warm, off white with a touch of red in the shadows.